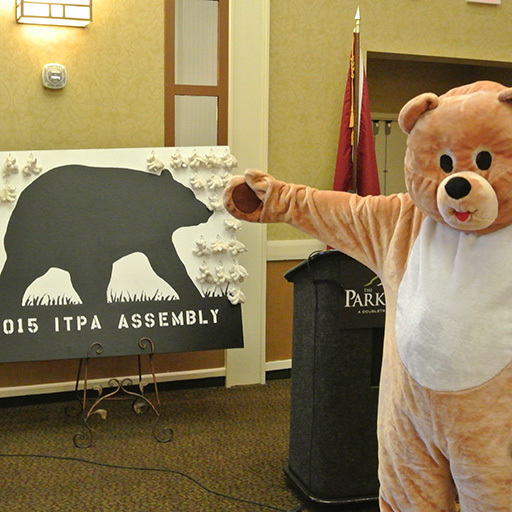 25th Annual Assembly: A Beariffic Time Had By All!! ITPA Celebrated their 25th Annual Assembly at the Park Vista Doubletree Hilton in Gatlinburg, TN the weekend of April 24th thru 27th. We started the weekend with a Meet and Greet for 57 attendees where 2 people where first time attendees. Our incoming president, Becky Hollis, welcomed us all to Bear Country during our buffet dinner. During Saturday morning's business meeting, Becky's charity of choice was announced. The North American Bear Center located in Ely, Minnesota is this year's charity of choice and Ted E. Bear is the mascot. Ted E. Bear stayed with Becky throughout most of the day, but was kidnapped and has not been seen since. Door prizes were started by choosing a white bear from the Bear Board. Donations were presented to the Star Riding Wounded Warrior Program and to the Alzheimers Association. Cloggers from a local dance studio came and entertained the group before lunch. The afternoon was spent riding the trolley and visiting the Ripley's Aquarium of the Smokies and some even went to Cade's Cove to look for bears. Sunday Service was led by Harold Hayes with songs sung by Janet Cashwell. 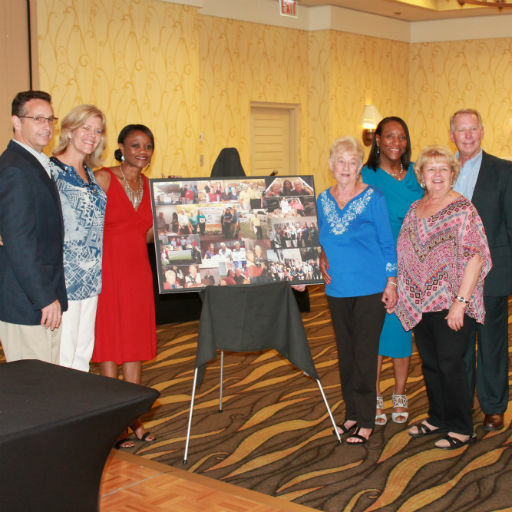 After the Hall of Fame Luncheon, awards were presented to Chapters and Clubs for 2014 accomplishments. 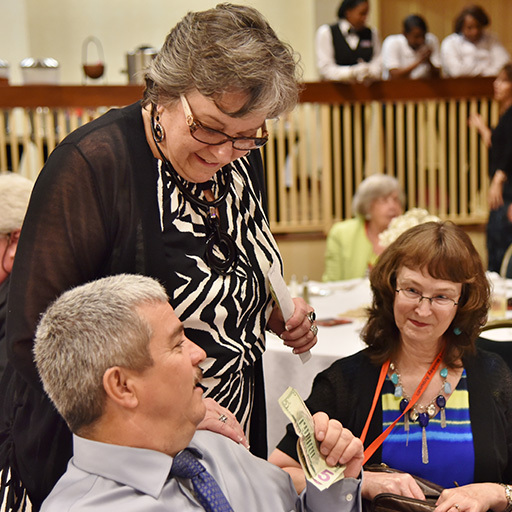 After a busy day, the Sunday Banquet was held, with the installation of Officers and a night of entertainment. Sunday was also our new president's birthday, so you know we had to celebrate her special day. It was a weekend of fun, laughter and seeing our Pioneer Friends.